I don’t know about you but I happen to be pretty lazy when it comes to taking breaks while working in front of a computer. This is especially true if I am working from home. There is always “let me finish this first and then I’ll take a break” which of course, never happens. Knowing that I would probably carry on doing that, I searched for a utility that would remind me to take regular breaks. While doing so, I found “Workrave” (which can be downloaded from SourceForge). It’s available for both Windows and Linux and happens to be an excellent piece of software. This software is designed to prevent users from getting RSI, Carpal Tunnel Syndrome and Myopia. The price is also right: Free! After using it for a couple of months, I can say that it has made a huge difference in my work habits and regular breaks are no longer an issue. This post is about the utility and what you can do with it, in case you wish to try it. Installation is a pretty simple affair so I won’t bore you with that. 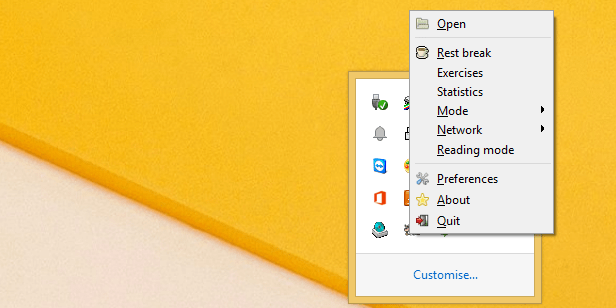 After installation, you can see a sheep-like icon in the taskbar, right-clicking on which displays the different options that you can choose. Selecting “Preferences” takes you to a configuration menu, where you can configure the various options. I’ll mainly discuss the “Timer” section as to me, it’s the most important one. 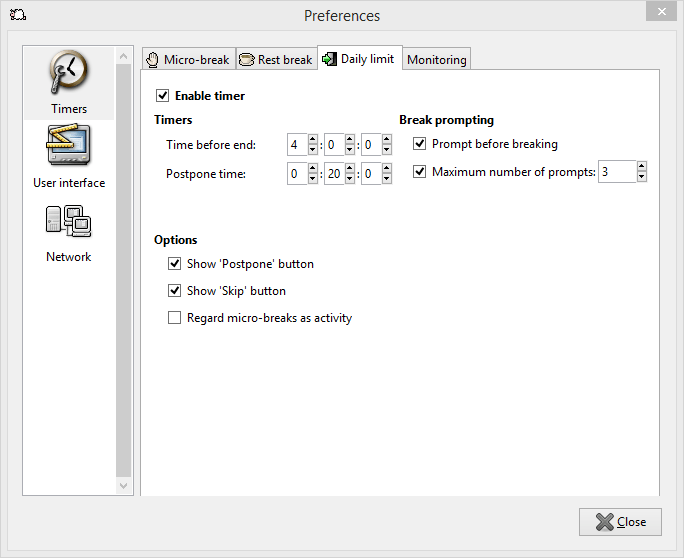 There are three types of timer: Micro-break, Rest break and Daily limit. The options are pretty self-explanatory. The “Show Postpone Button” and “Show Skip button” options, give you the option to be able to either temporarily delay the prompt or skip it altogether. If you’re finding that you’re using these too much then you might need to uncheck these to force you to take the break. I found that most preset timers work well but the one for Micro-break (shown above) was set to 3 minutes by default. I felt that was too frequent so changed it to 10 minutes, which seems like good interval before a taking a breather. Another use I’ve found for this break is to improve on my other laziness: Water intake. A sip from my water bottle every ten minutes works quite well actually! The next tab is for “Rest break”. The preset works well for me here. You might want to change them. Note there are a couple of new options, one of which is “Number of exercises”. This option introduces you to someone affectionately known as “Miss Workrave”. I quite like this part as it takes you through some random exercises, not only for your hands and arms etc. but also for vision. Also, note the three buttons at the bottom of these exercises. “Lock” immediately locks the computer, “Skip” skips the break altogether and “Postpone” that gives you a few minutes (configurable in the sections shown above). I do use “Postpone” at times when I am about to finish a task and just need a few more minutes. I try not to “Skip” as it’s a slippery slope and would defeat the purpose of having this installed. I’ve only used it a couple of times so far when I was working on something urgent that couldn’t wait and made sure I took the next one. One might think a daily limit of 4 hours is too limiting but the software monitors all keyboard and mouse movement so a total of 4 hours in a day totals to a fair amount. If you find it too limiting then increase it by all means. That said, main reason for using the software is not only to take regular breaks but also not to overdo the time we spend in front of computers so starting with the default might not be a bad idea. 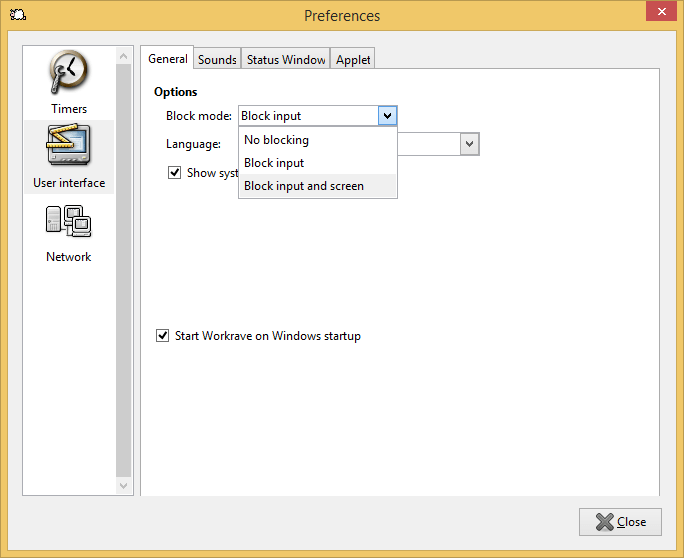 By default, the “Block mode” is set to “Block input”. If you find that you’re always ignoring the breaks then maybe a stricter “Block input and screen” can help. This is a simple but effective piece of software so doesn’t require much more explanation. If you choose to try it, I am sure you’ll find your way around. It has definitely made a positive impact on my bad habits and if you suffer from the same laziness, give this one a go! SoftNAS Cloud: Cloud Unlocker Storage?